The 19-year year old student at Florida International University birdied the 16th and 17th for a two over 74 to edge out Grant (70) by a shot on two over 218 for a wire-to-wire victory. 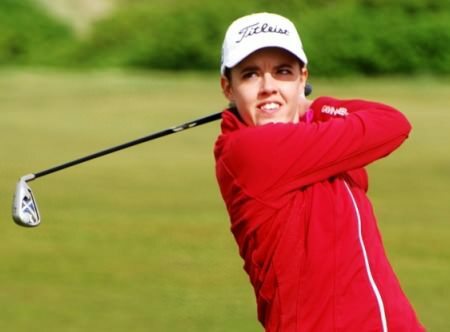 Three clear of Scotland’s Eilidh Briggs overnight and five clear of Grant, MacLaren got off to a horrible start with bogeys at the first four holes. Paula Grant (Lisburn) driving from the 17th tee during the final round of the 2013 Irish Women’s Open Strokeplay Championship at the Castle. Picture by Pat CashmanGrant turned in one under par to leave them tied at the top on four over with nine to play and then birdied the 12th and 14th to surge two shots in front. The first turning point came at the 187-yard 15th, where both were bunkered but only MacLaren managed to get up and down for her par. 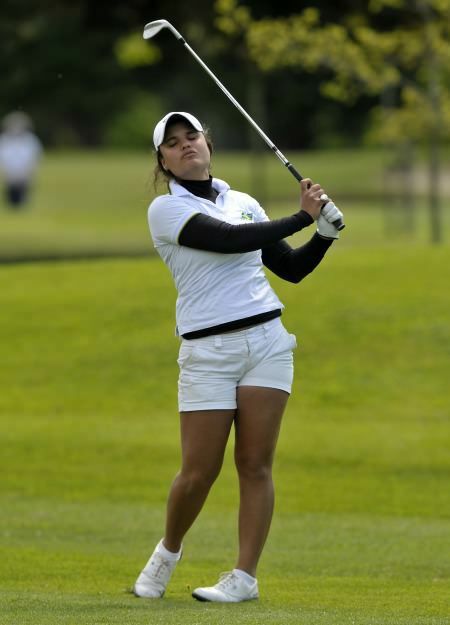 Just one behind now, Wellingborough golfer MacLaren drew level with Grant she pitched in from 45 feet for a birdie four at the 529-yard 16th after narrowly avoiding out of bounds when her fairway wood approach clattered into the trees. 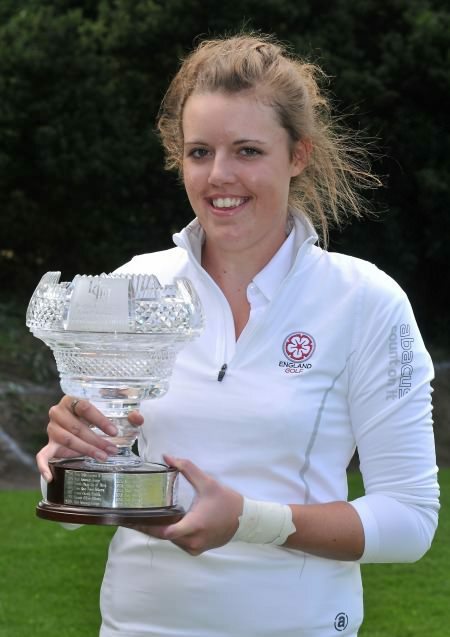 Meghan MacLaren with the Irish Women’s Amateur Open Strokeplay trophy. Picture Pat CashmanThen at the 500-yard 17th she hit her third to six feet above the pin after a brave second and rolled home the downhill putt to edge a shot in front. Twice a winner on the US college circuit in her freshman year, MacLaren is now hotly fancied to make the GB&I team for next month’s Vagliano Trophy in Paris, much to the delight of her father David, a European Tour Director. Scotland’s Eilidh Briggs was third on 11 over 227 alongside Ballybunion’s Emma O’Driscoll (77) with Skerries’ Maria Dunne (74) fifth on 228. England won the Nations Cup from Ireland with Scotland in third and Brazil fourth.